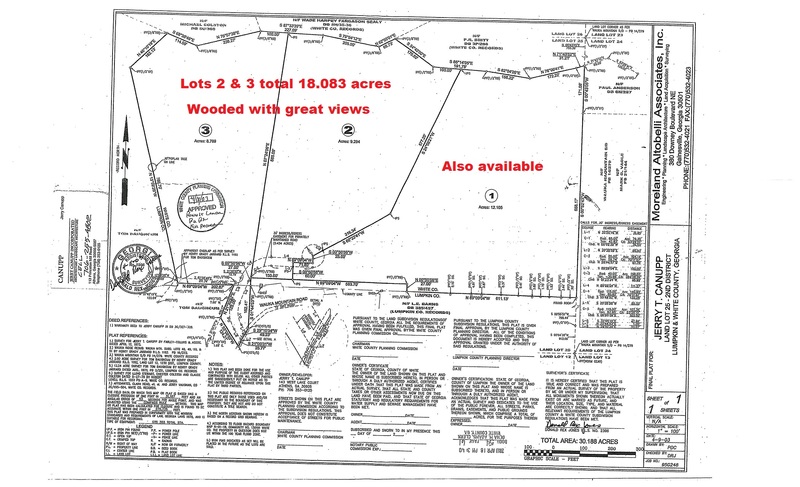 18 acres or 12 acres or 30 acres together. Ditto. Double click to ENLARGE. 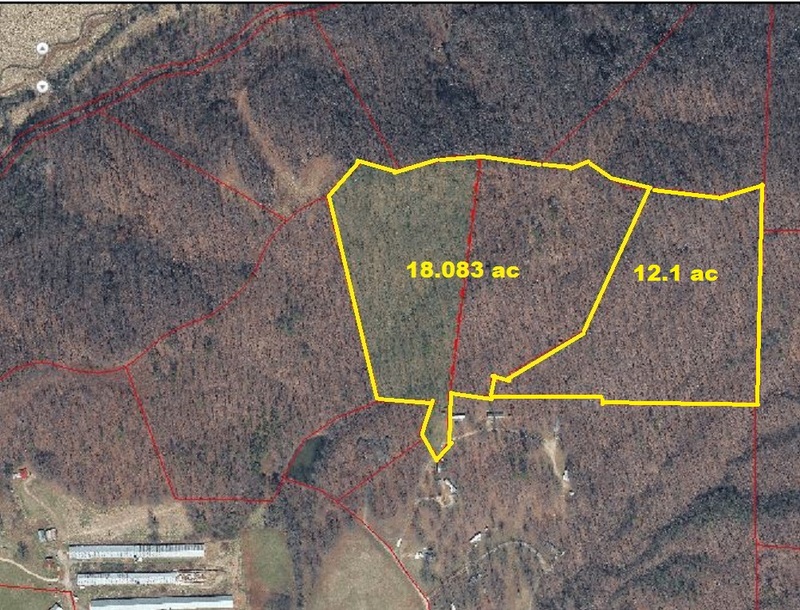 100% wooded with 200' of elevation change with southern exposure for home site. Plat of property. Double click to ENLARGE. 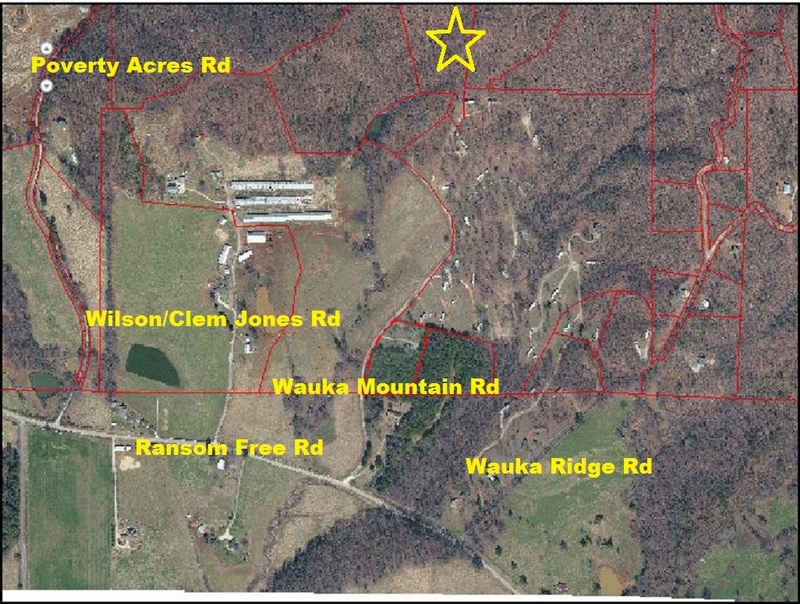 18 to 30 acres with mountain views on Hall/White/Lumpkin County Line. 200 feet of elevation change with great southern views on the southern side of Wauka Mountain. Just north of Hall County line off Ransom Free Road. 100% wooded, gravel road access, deer and wildlife abound. Recreation, home site, investment. 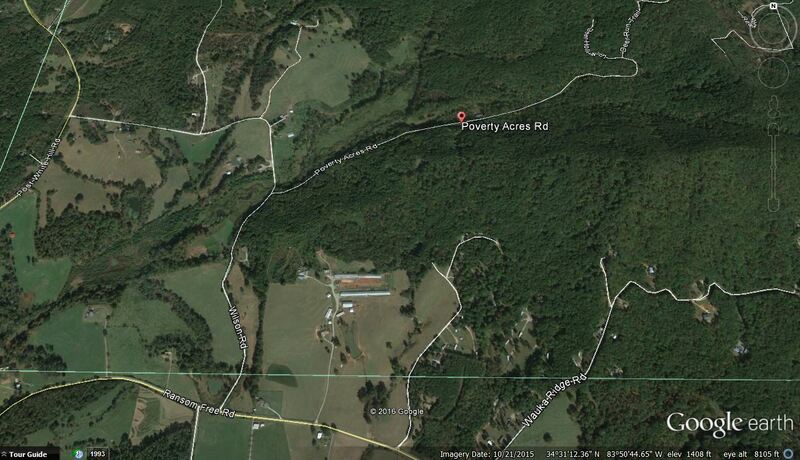 Priced to sell at $6,500 per acre!